Owned by Jill and Naji Boutros, Château Belle-Vue is a dynamic operation. It’s a small one (even by Lebanese standards), comprising just 24 hectares in plots scattered about Bhamdoun in the Mount Lebanon range. 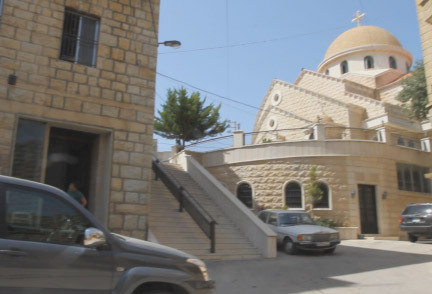 (This is one of only a handful of properties outside of the central Bekaa Valley). 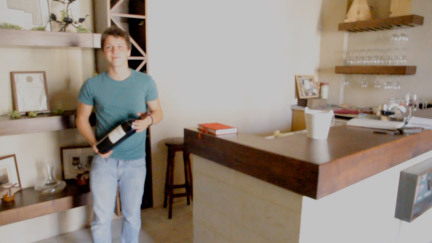 Few encounter the wine as only 20,000 bottles are produced, but its reputation is spreading far afield, garnering awards as well as praise from esteemed critics such as Robert Parker. The secrets of its success are the tiny yields of concentrated juice gently pressed from grapes grown on terraces at around 1000 metres, coupled with an enlightened approach in the winery that is dedicated to producing the finest wine possible, with commercial considerations coming a firm second. 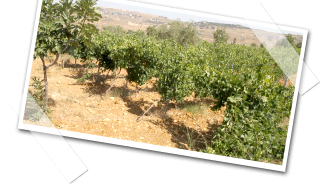 The hillside on which Château Belle-Vue stands (the property being a small winery and cellar in the village of Bhamdoun) was once home to Hotel Belle-Vue, a remote Beirut resort owned by Naji’s grandfather. It was destroyed in the civil war (1975 – 1990) and all that now remains is a memorial tile mounted on the winery wall and the image of its façade on the wine’s label. However, a huge sense of optimism pervades Château Belle-Vue and there’s little time for dwelling on the past. When not making wine they are seeking out new plots of land (not easy, or cheap, when competing with developers) and there’s a restaurant under construction, as well as a centre for peace and reconciliation. Still a youthful purple, this wine gives up a bagful of black fruits on the nose, including distinct cherry and blackberry, with a depth hinted at by hints of liquorice, spice and earthy musk. Fine and cool on the palate with persistent grippy tannins on the finish, suggesting a few more years before softening to full maturity. This is a deep, powerful wine, currently at a stage where structure predominates. Sinewy, powerful tannins fill the palate, backed up by requisite acidity, globs of extract and the warmth of alcohol - all encompassing the senses before the aromatics reveal themselves: damson, ripe blackcurrant, cloves and vanilla, with the promise of a lot more to come. One for the cellar! Philippe Boutrus (Jill and Naji’s son) conducting his first official tour! The Tasting room and cellar (not the building on the right!). 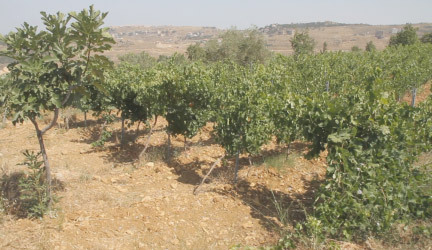 Limestone rich Cabernet Sauvignon vineyards in Bhamdoun.